If your family is anything like mine then rice, beans, and taco night are common fare. 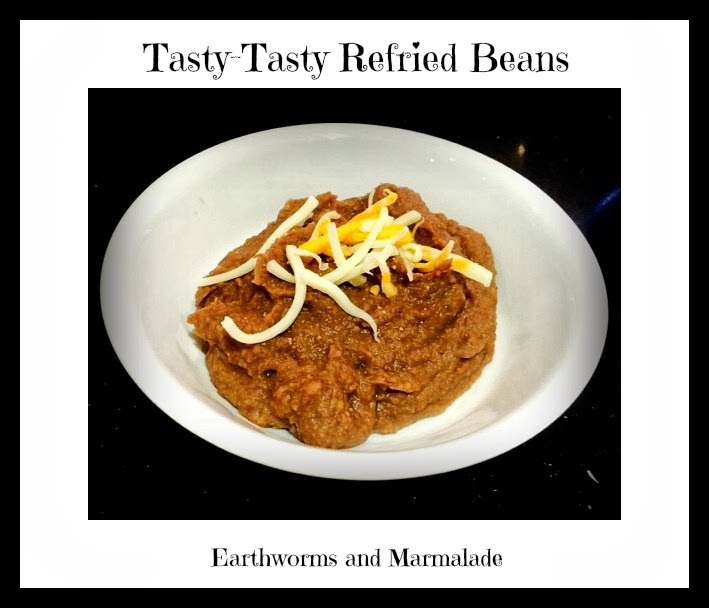 We go through a lot of refried beans. 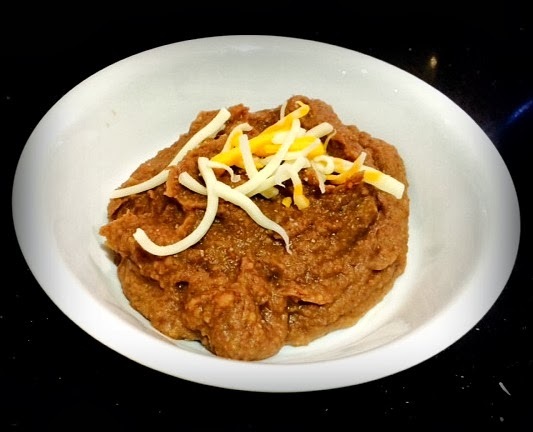 It has taken a while but I think I have finally perfected my refried beans recipe. It took a few times to get it creamy and flavorful. The previous attempts were either too dry or lacking in flavor. I found that soaking the beans in two changes of filtered water with a pinch of baking soda in each soak helped a lot. 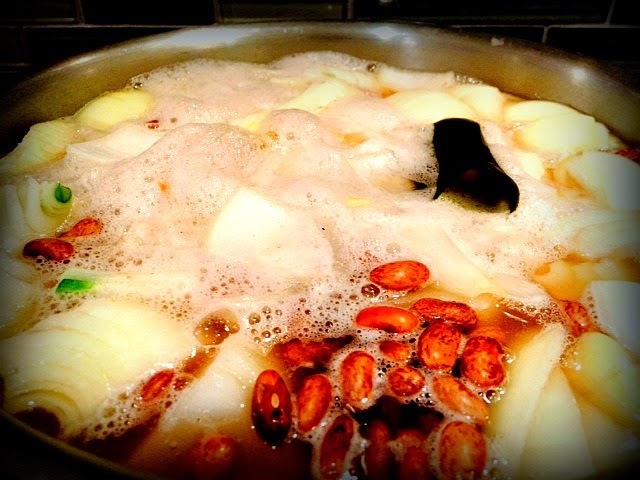 The baking soda helps the beans release the phytic acid which can be skimmed off during cooking. The phytic acid and other enzyme inhibitors give beans a lot of their *negative* side effects, removing these make beans more digestible. 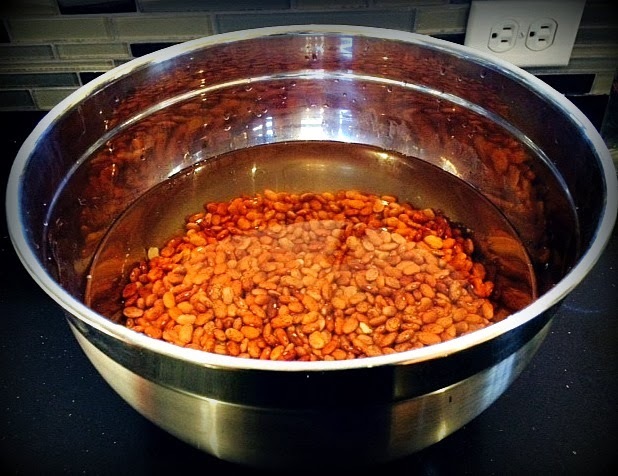 Soak beans on your counter for 18-24 hours, changing the water 1/2 way through. 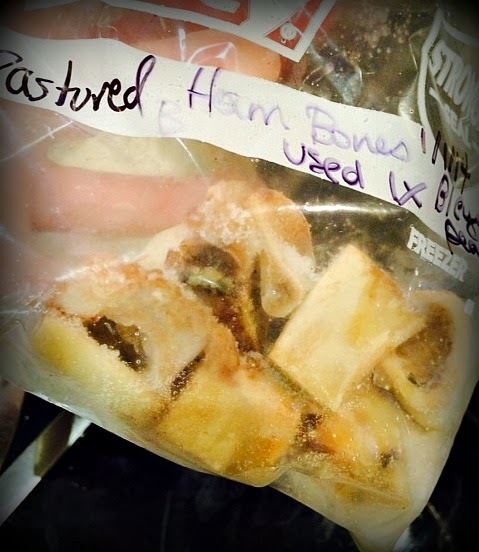 I froze the pastured ham bones after the last batch of beans I made. I figured I could get one more batch of beans out of them. I made a really big batch and then froze 3-4 cups per bag.